The new main fire station cost $4 million and funded was provided by a $2 million Department of Local Affairs grant. 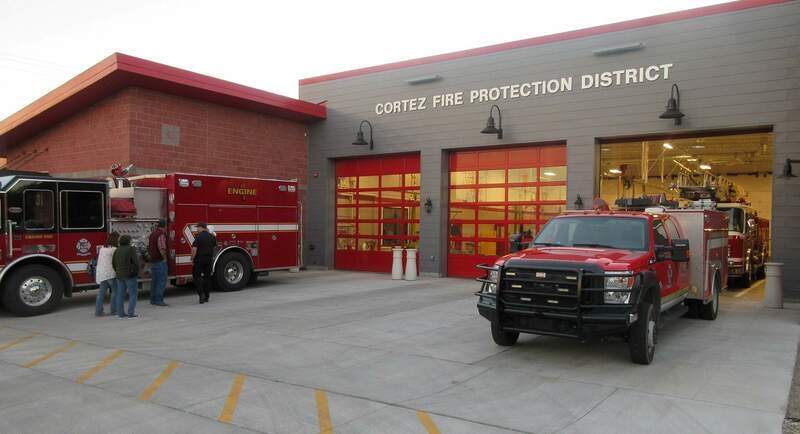 Larger bays are one feature of the new Cortez Fire Protection District station. 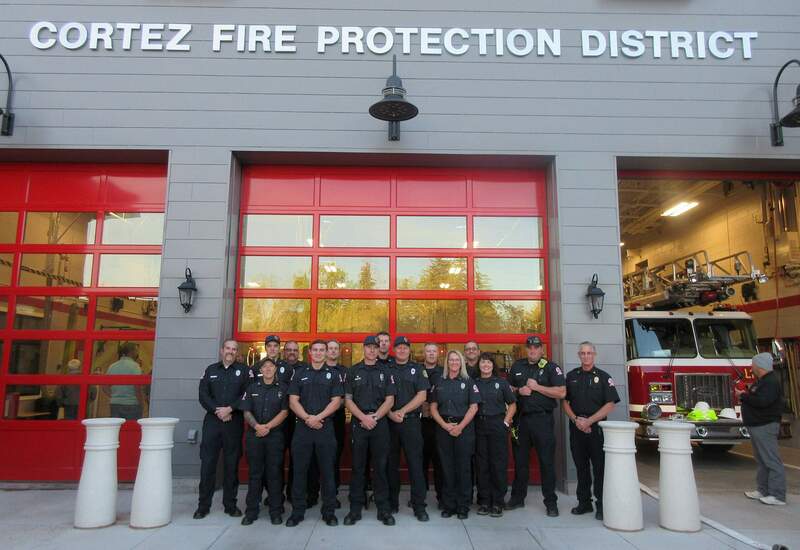 Firefighters and first responders with the Cortez Fire Protection District stand in front of the new fire station at 31 N. Washington St. during a grand opening. Firefighter Gabriel Rogers explains some of the training facilities at the new Cortez fire station. 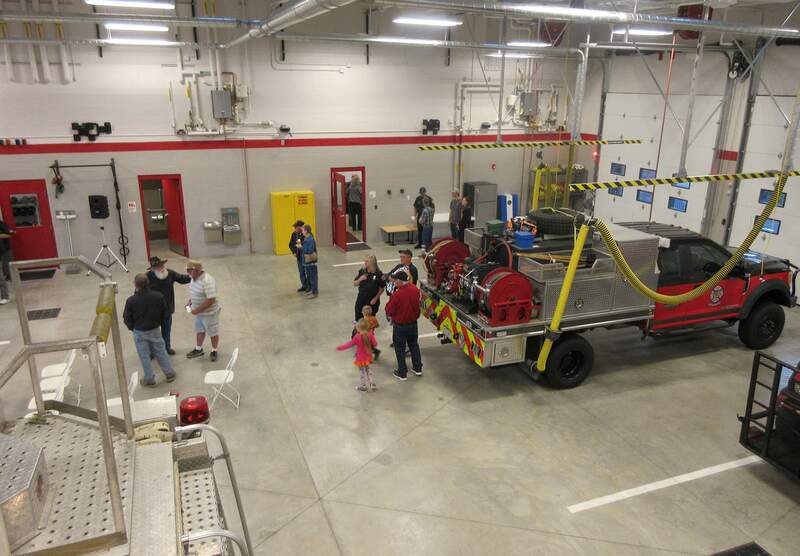 The community marveled at the new $4 million main fire station of the Cortez Fire Protection District during a packed open house Oct. 12. The modern, two-story red brick building at 31 N. Washington St. features larger bays, training areas, six bunk rooms for the night shift, an exercise room, kitchen and dining area, conference rooms, administration offices and upgraded dispatch technology. Bays have modern venting systems, including hoses that connect to fire trucks to direct exhaust outdoors. 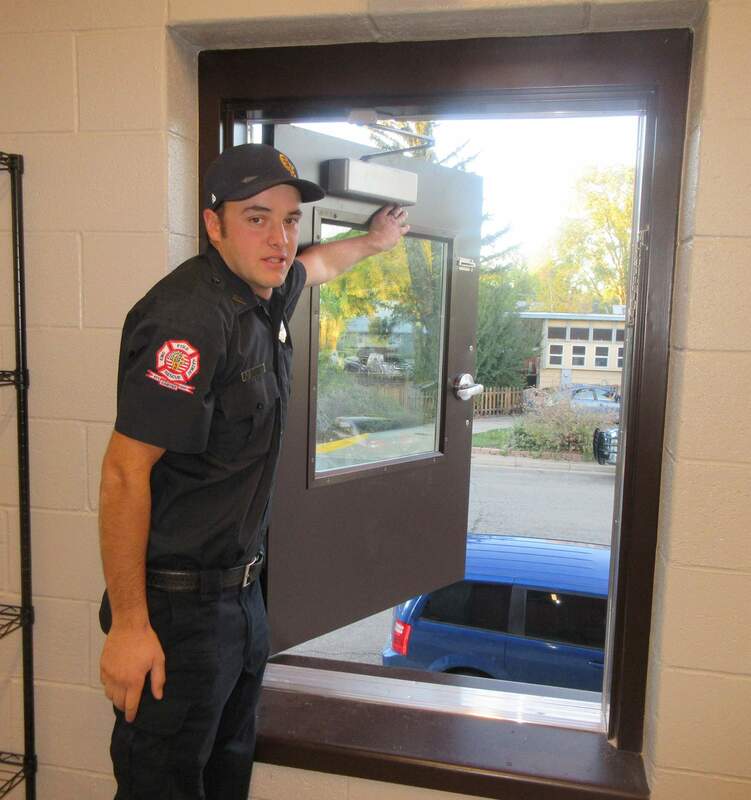 Classrooms will be used by firefighters, and for public CPR courses. There is ample storage for firefighter equipment. Tours of the station were given by district board members, firefighters and fire Chief Jay Balfour. The project was funded in part by a $2 million grant from the Department of Local Affairs. The fire district provided a $1 million match and borrowed $1 million for the project. The 13,400-square-foot station was designed by Pacheco Ross Architects. It was built by Weeminuche Construction Authority, of the Ute Mountain Ute tribe, and many local subcontractors. “Cortez Fire Station 1 is in service,” Balfour announced over dispatch.